Jeff Sessions’ praise of 1924 eugenics immigration law remains insane. 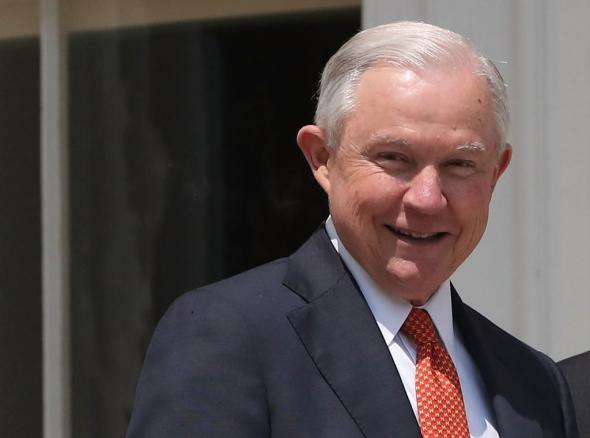 Jeff Sessions at the White House on Aug. 21. … The nation must set and enforce a limit on how many immigrants we admit each year and that means all can not be accepted. In seven years we’ll have the highest percentage of Americans, non-native born, since the founding of the Republic. Some people think we’ve always had these numbers, and it’s not so, it’s very unusual, it’s a radical change. When the numbers reached about this high in 1924, the president and Congress changed the policy, and it slowed down immigration significantly, we then assimilated through the 1965 [Immigration Act] and created really the solid middle class of America, with assimilated immigrants, and it was good for America. We passed a law that went far beyond what anybody realized in 1965, and we’re on a path to surge far past what the situation was in 1924. The resulting law, the Immigration Restriction Act of 1924, was designed consciously to halt the immigration of supposedly “dysgenic” Italians and eastern European Jews. “Good for America!” What a world.